Tina Belben was elected to the Council in 2016. 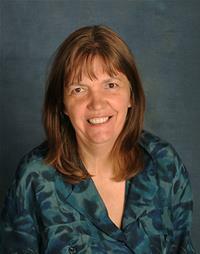 Tina has lived in the Crawley area all her life. In 1983 she qualified as a Chartered Accountant and met Andrew her husband shortly afterwards through their mutual interest in politics. They moved to Pound Hill in 1995 as they wanted their children to go to Milton Mount School and to be nearer to Three Bridges station for Andrew. Tina enjoys being part of the Pound Hill community in lots of different ways, from serving on PTA committees to walking her two dogs. Tina's two children are now grown up but she still regularly helps at Milton Mount School and the United Reform church crèche. Having more time on her hands Tina has also joined Pound Hill's W.I. and Crawley Conservative Women's Organisation. Both provide thought provoking discussions as well as a good company over tea and cake! So through all these points of contact with friends and fellow residents of Pound Hill, Tina hopes to be aware of and be able to help with local issues as they arise. Tina still maintains her accountancy skills with a small number of clients so she is looking forward to putting these skills to use helping to ensure that residents' council tax money is efficiently spent.